Blog » Medical Billers and Coders: Welcome to the World of ICD-10! Medical Billers and Coders: Welcome to the World of ICD-10! 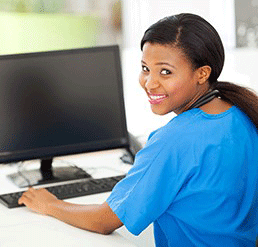 For those working in Medical Billing and Coding, this past Thursday October 1st was a big day! It was the official launch day of ICD-10. For those working in the medical billing and coding world, you’re likely very familiar with this change, but we wanted to capture TEN fun facts about ICD and ICD-10 below. The inaugural international classification edition, known as the International List of Causes of Death, was introduced by the International Statistical Institute in 1893. The ‘10’ in ICD-10 stands for the 10th Edition of the International Classification of Diseases. ICD is utilized for several purposes including the counting of deaths as well as diseases, injuries, symptoms, reasons for encounter, factors that influence a person’s health status, and external causes of disease. ICD-10 is copyrighted, owned, and published by the World Health Organization. The 43rd World Health Assembly endorsed ICD-10 in 1990, and came into use beginning in 1994. ICD undergoes regular revisions, however, the anticipated release of ICD-11 will not be until 2018. According to the World Health Organization, about 70% of the world’s health expenditures (USD $ 3.5 billion) are allocated using ICD for reimbursement and resource allocation. ICD-10-CM (Clinical Modification) was originally slated to be released in October of 2013. It was then delayed until October 2014, and was finally released in October 2015. The code set in ICD-10 allows for more than 14,400 different codes, but it can be expanded to over 16,000 codes if optional sub-classifications are used in the coding process. All HIPPA covered entities are required to implement ICD-10. ICD-10 is available in six different languages (coincidentally, also the six official languages for the WHO): English, Arabic, Chinese, Russian, French, and Spanish. If you’re ready to begin training for an exciting new career in medical billing and coding, the Medical Administration and Billing program at Dorsey Schools may be for you! You can learn more about the Dorsey Schools Medical Administration and Billing program by clicking here to contact us, or you may call us at 888-422-1188. For additional information on ICD and ICD-10: ICD: http://www.who.int/classifications/icd/en/ ICD Information Sheet: http://www.who.int/classifications/icd/factsheet/en/ ICD-10 on Wikipedia: https://en.wikipedia.org/wiki/ICD-10 For more information about our graduation rates, the median debt of students who completed the programs, and other important information, please visit our website at https://www.dorsey.edu/disclosures/.